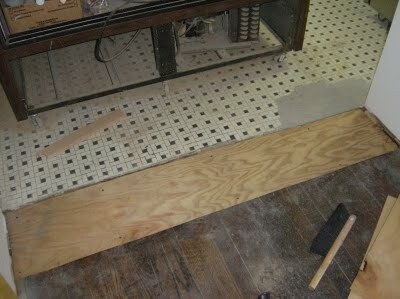 It was back to flooring today. 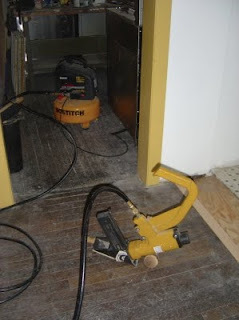 There was still a transition between the kitchen and the wait station, which needed help. 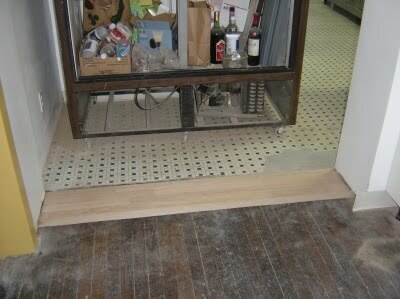 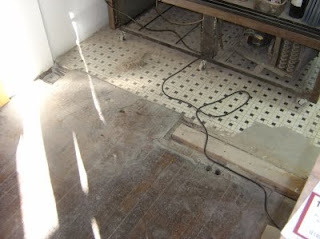 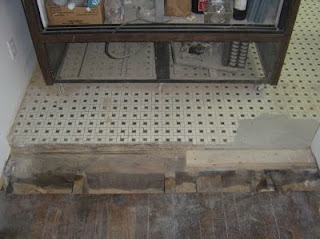 ... install the floor, and done. E! 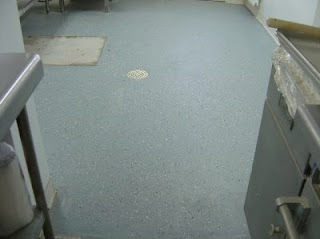 meanwhile repainted/resealed the dish station floor with concrete paint, and sparkles.